Green – Fact or Fiction? An article in Fortune Magazine recently, Green Myths Debunked, talkedÂ about everything from bottled water (tap water is safer) to CFLs (make the switch from incandescent today!) to Christmas trees (yes it is better to have a real one than a fake one) and many more. Â This got me thinking about our own communities and what really matters about green. 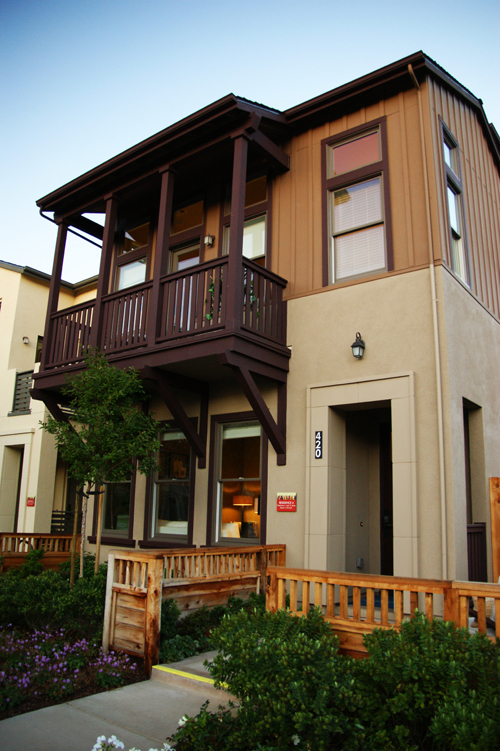 Satake Estates in Mountain View, where we have solar power from PetersenDean, has had a $5 electric bill! Â Amazing on a home that is over 2,000 square feet! Plus Satake Estates has rain gardens, which filter off the rainwater from the home and roof. Â Then puts the soil back into the land. Â The water, which has been filtereredÂ through the rain garden, is taken out to the storm drain. Â Homebuyers and our sales team have been impressed by how quickly it processes the water for no build-up. 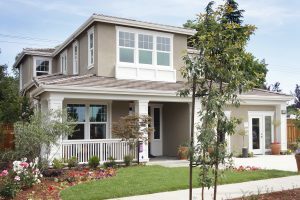 Just a few miles up, our Redwood Gate community in Palo Alto also has an eye towards sustainability built into each home. The community was designed to maximize the ability to preserve mature evergreen trees through the use of a curvilinear street pattern and a park site placed in the area where most trees were located. Prior to demolition of the historical Elks lodge, considerable care was taken to salvage all usable items, including wood, lumber and furniture, from the old Elks lodge. In addition, a mountain of concrete from the old Elks Lodge was ground on site and stockpiled during demolition.Â Later, the ground concrete was used as sub-base for the roads in the new subdivision, thus re-using these materials in the best, most environmentally conscious way possible. So there are some myths about green, but some green just is good common sense.